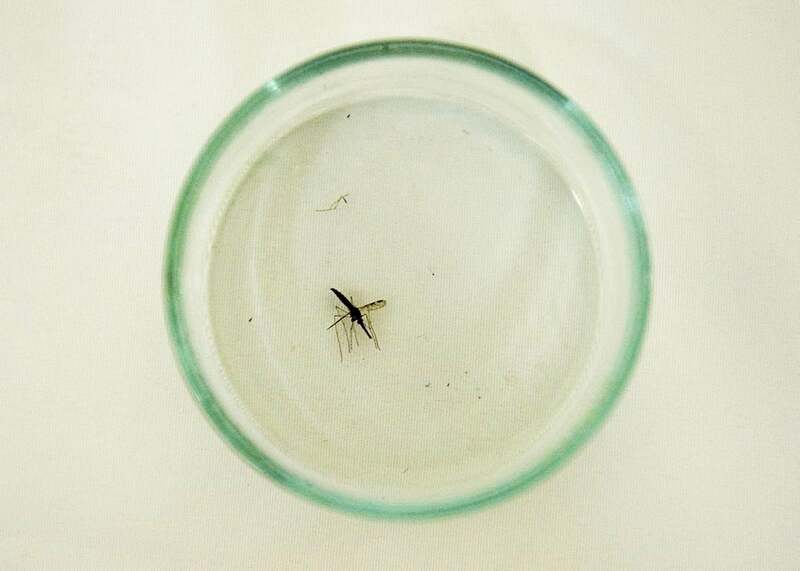 Elizabethkingia bacteria strain could cure malaria, but it’s also sickened dozens in Wisconsin. The Elizabethkingia strain could cure malaria, but it’s also sickened dozens in Wisconsin. This article originally appeared in Zócalo Public Square. In a shift similar to when we realized that the sun did not revolve around the Earth, our place on the planet has turned inside out: We live in the germs’ world, now. Increasingly, new diseases are textbook cases of how our old textbooks didn’t describe our real relationship to microbes. Take Elizabethkingia anophelis, which has mysteriously sickened 61 people, mostly in Wisconsin, since last fall. All were already ill. Twenty people have died, which is a very high rate. Elizabethkingia anophelis is found in dirt, in mosquito guts, and pretty much everywhere else. The Centers for Disease Control and Prevention has sent epidemiologists to Wisconsin, Illinois, and Michigan, and they’ve interviewed survivors, tested fellow patients, and even collected samples of skin care products used by those infected—without finding a clear mode of transmission, or a thread connecting one infection to another. Exploring the history of what we do and don’t know about E. anophelis tells a story about the curious mix of hope and danger in our bacterial companions. The Elizabethkingia bacterial genus was first discovered by Elizabeth O. King, a CDC microbiologist, in 1959. Using fluid from the spinal cords of children, many of whom had died of meningitis between 1948 to 1958, she isolated the likely cause under her microscope: bacteria with “slender, slightly curved rods. Short, straight forms with rounded ends are also present.” She grew colonies of them on Petri dishes, where they appeared “smooth, entire, glistening, gray-white and butyrous”—which means butterlike. * She found what they were capable of by subjecting them to chemical tests and antibiotics, and then injected them in rabbits, mice, and hamsters. Elizabeth King’s original name for the genus referenced its yellowish color (Flavobacterium), and the name for its species referenced the infant meningitis it was associated with (meningosepticum). But in 2005 the genus was renamed Elizabethkingia after her. Until 2008, Elizabethkingia kept a pretty low profile. It was associated with the occasional case of meningitis, scattered in different countries, but otherwise not much thought was given to these rod-shaped bacteria. And then, Swedish malaria researcher Ingrid Faye identified another strain of Elizabethkingia in the gut of a mosquito in Africa in 2008. Named after the mosquito, the bacteria was called Elizabethkingia anophelis. In fact, if you were a mosquito in the market for a gut-residing bacteria, you’d hire E. anophelis straightaway! This strain of bacteria contains genes that help break down blood cells. And then, because digesting blood can lead to oxygen poisoning, E. anophelis ingeniously makes antioxidants, too. But day to day, when the mosquito is just feeding on sugary nectar, the bacteria helps digest that. And finally, it has a large bag of tricks that make it resistant to antibiotics: a thick cell wall, special pumps that push toxins out of the cell, a set of genes that short-circuit many common antibiotics. A whole toolkit for avoiding death. I asked Xu why these bacteria have such powerful antibiotic capabilities. “The mosquito’s gut is a collection of bugs inside a bug: a world inside a world,” he said. The gut bacteria have evolved to live together and kill harmful invaders. They’ve divided up the tasks: Some members of the community have strong antibiotic properties themselves—to slay the enemy—so the antibiotic resistance genes essentially protect the gut’s traditional residents from their own weapons. Xu has spent the past 20 years studying how mosquitoes’ immune systems work, which is much more than an academic question. When they take blood from humans, female mosquitoes take on malaria-causing parasites without damaging their own immune systems, incubate the parasites, and pass them back to humans. There has long been a hope that we could either encourage mosquitoes to breed less enthusiastically, kill the malaria themselves, or engineer some other biological change that would lessen the threat of malaria. In any case, the benefits of understanding this immune process are large: Malaria kills 1.2 million people every year, and about half the world is vulnerable to catching it. Initially, it looked as if manipulating E. anophelis might be a good way to keep malaria in check, and Xu got a grant to do just that. Once scientists knew how to identify E. anophelis, though, it started showing up in surprising places: in a sick newborn in Bangui, Central African Republic, in 2011, then an intensive care unit in Singapore, and then two babies in Hong Kong. Scientists determined that some cases were spread from mother to infant, but not by mosquitoes, despite its name and coziness with the insect. Meanwhile, since 2004, epidemiologists had noticed that cases of the original Elizabethkingia meningoseptica seemed to be rising among babies and people with weak immune systems in hospital settings, where the bacteria’s large set of genes for antibiotic resistance were a clear advantage. So who was the real E. anophelis? Had the bacteria suddenly changed to infect humans, or had it been the bad bug all along? When the CDC reanalyzed some past infections that had seemed like meningoseptica, they realized they were actually anophelis. “It’s difficult to draw conclusions about the history of E. anophelis since it was just identified as a separate species in 2011,” said John McQuiston, who is the team lead in the CDC’s Special Bacteriology Reference Laboratory, via email. He added that there is no evidence that the infection is spread via mosquito bites. The story of Elizabethkingia anophelis is typical of the paradox we’re now in: Since 2008, we’ve doubled the genetic data we have about our world every seven months. Genomic data is growing much faster than Moore’s law—which says that computer speeds double every 18 months—and even more than our count of stars. It’s gotten to the point where some biologists want to replace the phrase “astronomical growth” with “genomic growth.” But more data open up more questions than they answer. And genes are just one part of the new information we have: The internet brings us news of infections in places we never thought to look. Mosquitos and diseases also are traveling farther and faster—by boat, by plane, as well as with a changing climate. (They could even be traveling by hand cream!) But understanding how these places are connected by these ubiquitous bacteria will take much longer. Amid this bounty of high-tech discovery, it’s important to remember that new technology is not the answer to every problem. I asked New Mexico’s Xu how his anti-malarial research was going. He said that E. anophelis had proved hard to work with, though another team had made some progress. And he sounded a bit skeptical. “It’s relatively easy to engineer bacteria, but we don’t know whether it would work in nature. We know what mosquitoes do in the lab, but we don’t have an ecological sense of how they acquire bacteria and we need that information.” In the meantime, it had become clear that there was a simpler solution to reducing malaria—mixing sugary mosquito bait with a toxic chemical seemed to kill mosquitos more cheaply, and with fewer complications, than re-engineering their guts. “In general, low-tech works better than high-tech,” Xu said with a laugh.